San Diego State University‘s first university-wide fundraising campaign has concluded with a total of $800 million, exceeding its goal of $750 million, the university announced Saturday. “On behalf of the entire university, I’m extraordinarily grateful to all of our donors,” said SDSU President Elliot Hirshman. He spoke Saturday evening at an event with some of SDSU’s more than 70,000 campaign donors. The university launched The Campaign for SDSU in July 2007 with a goal to raise $500 million to benefit students, faculty and staff. That goal was increased to $750 million in 2014. Campaign funding supports scholarships, endowed professorships, academic programs, new campus buildings, athletics and KPBS. Approximately $185 million was donated to endowed scholarships, which will be available to students in perpetuity. The campaign also raised funds to create or substantially support 20 endowed chairs and professorships, including chairs to support programs in the life sciences, biomedical research, entrepreneurship, business, history and public relations. 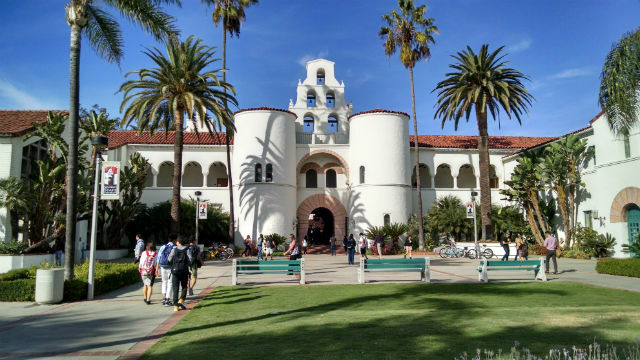 SDSU received 138 gifts of $1 million or more. Among the most notable gifts of the campaign are a $25 million endowment from Ron and Alexis Fowler to support programs within the newly renamed Fowler College of Business and a $20 million scholarship endowment created by the late Conrad Prebys to support at least 200 students annually.